A chemical plant in India has found a way to make useful products out of the CO2 emissions from its own coal-boiler. Carbon Clean Solutions has invented a chemical that efficiently captures CO2 from the Tuticorin chemical plant in southern India and use it to make baking soda. The plant’s director said that virtually zero emissions are being released into the air and water. A chemical plant in India has found a way to make useful products out of CO2 emissions by capturing the CO2 from its own coal-boiler and turning it to make baking soda, according to the Guardian. The Tuticorin Alkali Chemical plant in southern India says the plant will capture 60,000 tons of CO2 per year, Global CCS Institute reported. The plant also does it so efficiently that they don’t need any government subsidies. 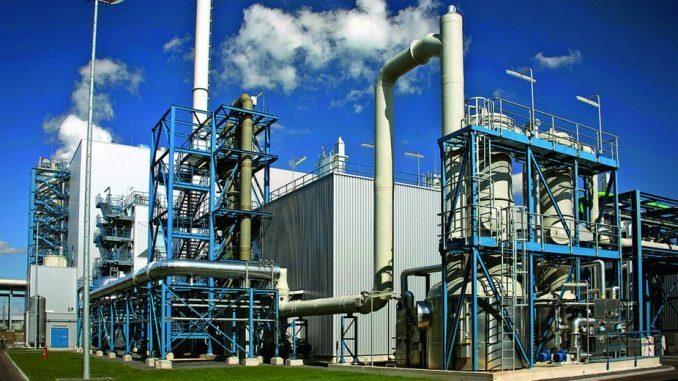 Carbon capture has always had its technologies focused on carbon capture and storage (CCS), where emissions were collected from a plant and injected underground into rocks, which is an expensive task. The plant in Tuticorin is one of carbon capture and utilization (CCU), where captured emissions are turned into useful products. The plant is also said to be the first unsubsidized industrial version of CCU. CO2 has already become a commodity on the global market as a raw chemical, mainly coming from industries like brewing where it’s inexpensive to capture. However, it’s always been too expensive to strip from the low concentrations it materializes in flue gas without a government subsidy. That’s where Carbon Clean Solutions came in. Founded by Aniruddha Sharma and Prateek Bumb, Carbon Clean invented a new chemical that is more efficient, less expensive, less corrosive, requires less energy and smaller equipment than that of amine, the current CCS chemical. Carbon Clean’s kit was installed the Tuticorin plant, which now uses its own CO2 to make baking soda, a chemical that’s used in glass manufacturing, sweeteners, detergents and paper products. Gopalan said the plant emits visually zero emissions into the air or water and hopes to construct a second coal-boiler to make more CO2 to synthesize fertilizer. Some five to 10 percent of the world’s emissions from coal could be dealt with by capturing usable CO2, Carbon Clean claims.